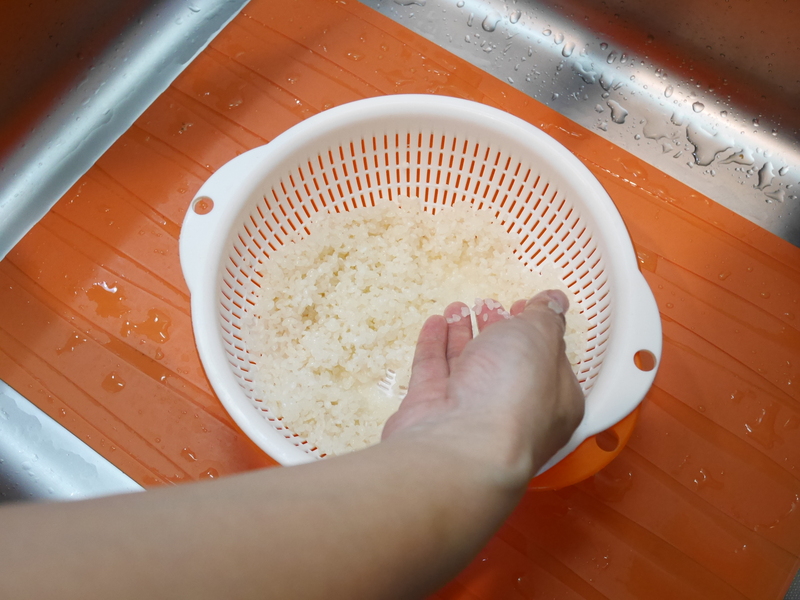 Do you know the right way to wash rice? 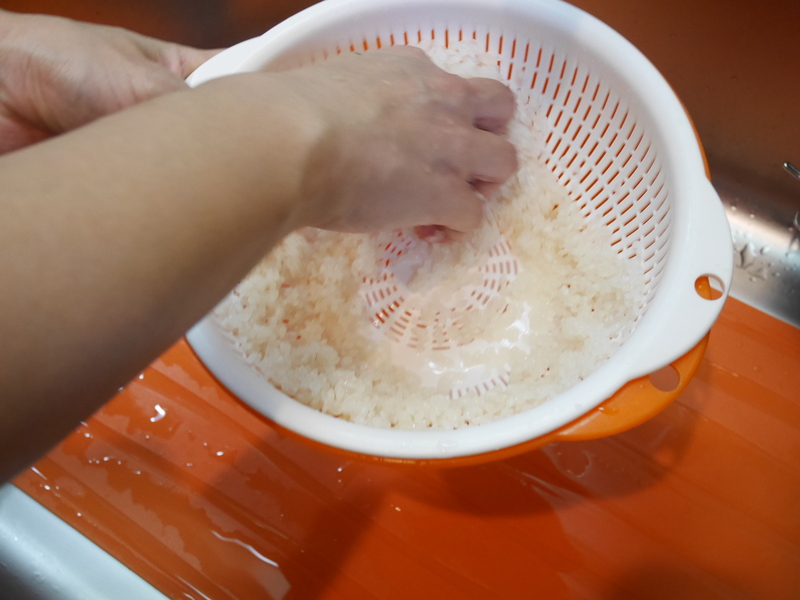 お米の研ぎ方 ☆ How to wash rice? 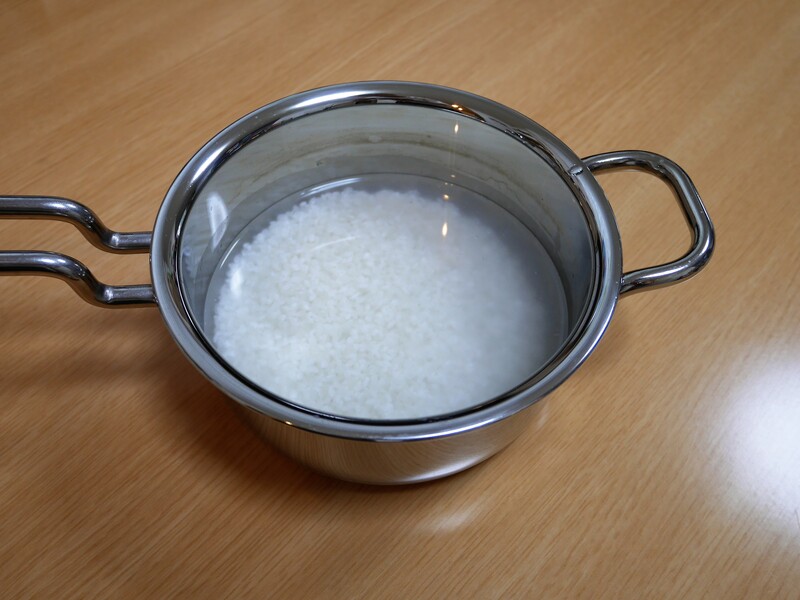 Put the rice into a bowl and pour some water. Stir lightly by a hand and drain it right away. 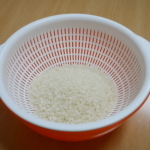 Stir it quickly circular in motion by a hand (make a claw shape) about 15-20 times gently. Do the Step 2 and 3 one more time. 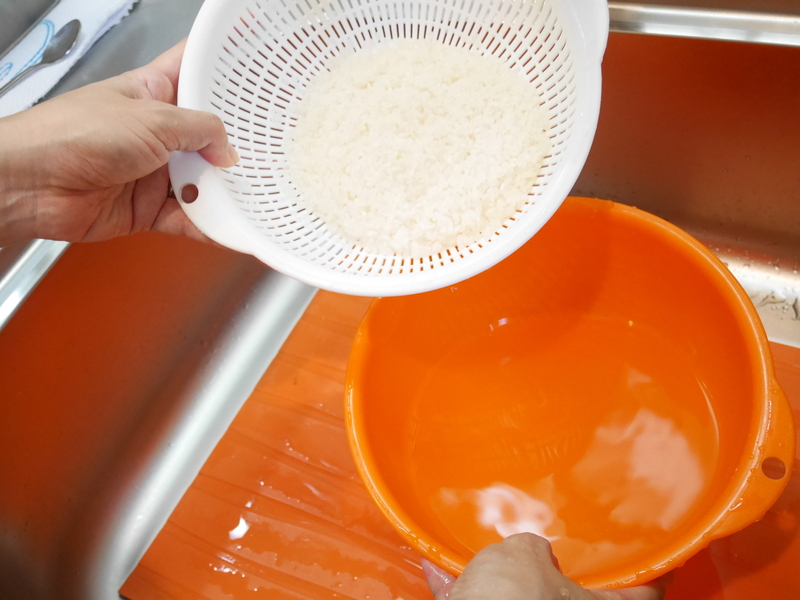 ・It’s easy to drain the water if you stuck a bowl and colander. 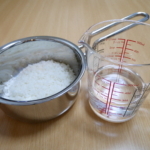 ・Dry rice can easily soak up water. 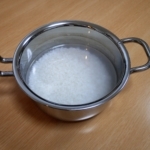 So, drain the white water as fast as you can before the rice soak it. Because it contains rice bran and its smell. 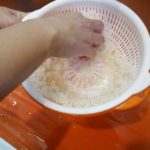 ・It’s OK if the water still not clear after Step 4. 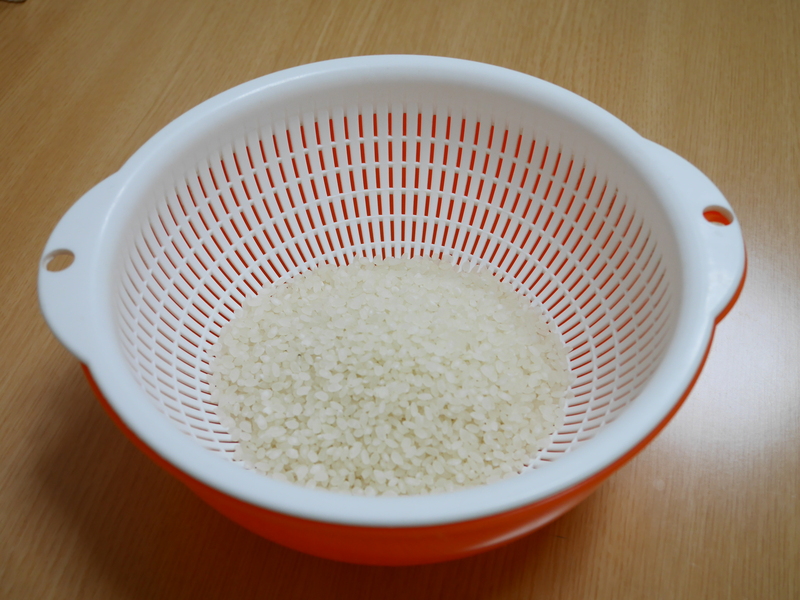 Rice will lose its nutrient if you wash it too much. 1. 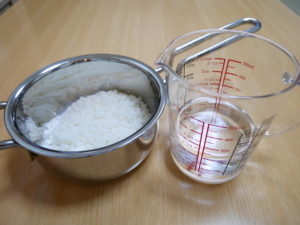 お米の研ぎ方 ☆ How to wash rice?